1. 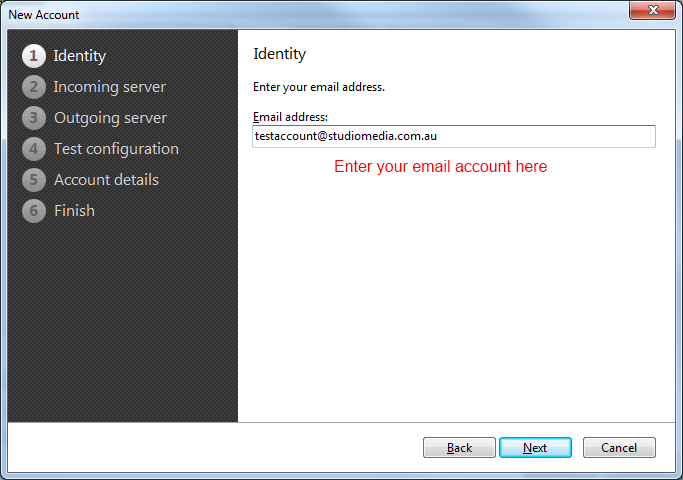 Firstly, click on the Mail tab to create a new Email account with your StudioCoast settings. 2. Then Double Click the Other section. 4. Enter your account details. Choose IMAP or POP. IMAP is best if you are going to access the email on multiple devices (phone, PC, laptop, iPad etc). Incoming server- This will be listed in your email account settings within hostControl. Username- Your full email address. Password- The password you chose when you created the email account within hostControl. b) Alternatively if you are using a Phone or a laptop that will use different Wi-Fi and 3G connections you can use the StudioCoast mail servers. The Outgoing Server will be the same as the incoming server. 6. Hopefully these both have green ticks. If the SMTP server has a problem tick the Ignore test results box, finish the setup and then go to Step 9 of this guide. 7. Enter the name and the email address that your account will use. 8. Click Finish to complete the setup. STEP 9. Only use this step if the SMTP server has failed. When you are back to your Inbox, click on the Tools menu and then Accounts. It should bring up your accounts screen. 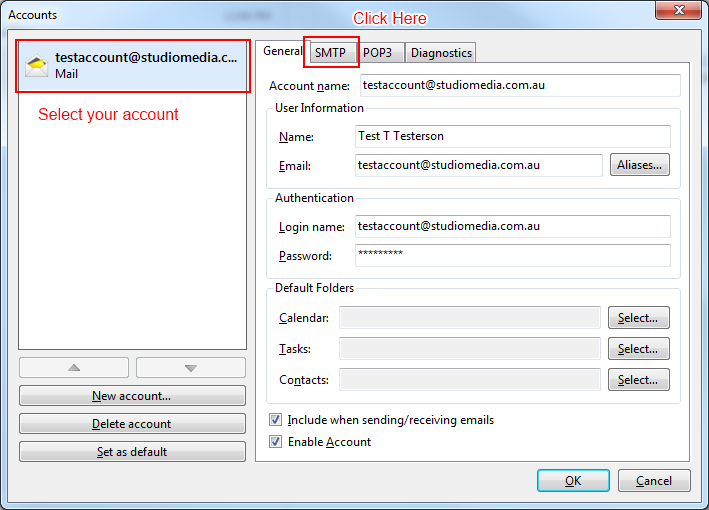 Select the account that you want to use and click the SMTP tab. 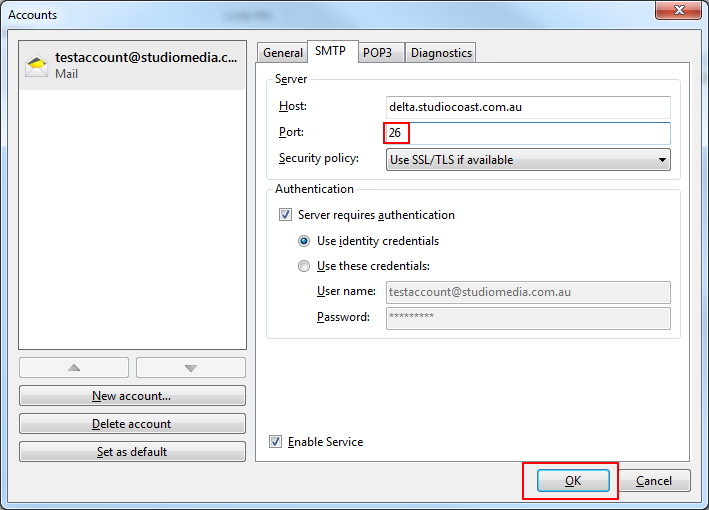 Next, change the Port number to 26 and click OK. You should now be able to send mail using StudioCoast.